This comfortable, spacious and tastefully decorated apartment is ideal couples getaway. Apartment also features private sauna. 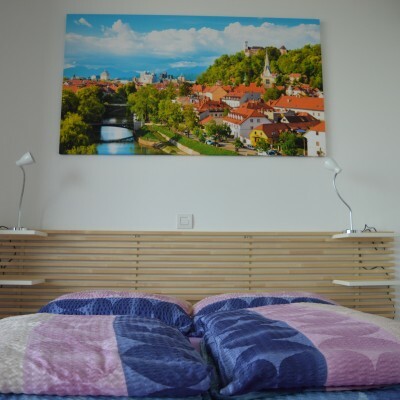 Attractive fully furnished self catering apartment with a view over Ljubljana castle and a touch of Slovenian history provides affordable accommodation for up to 4 people (a family or one/two couples or a group of friends). 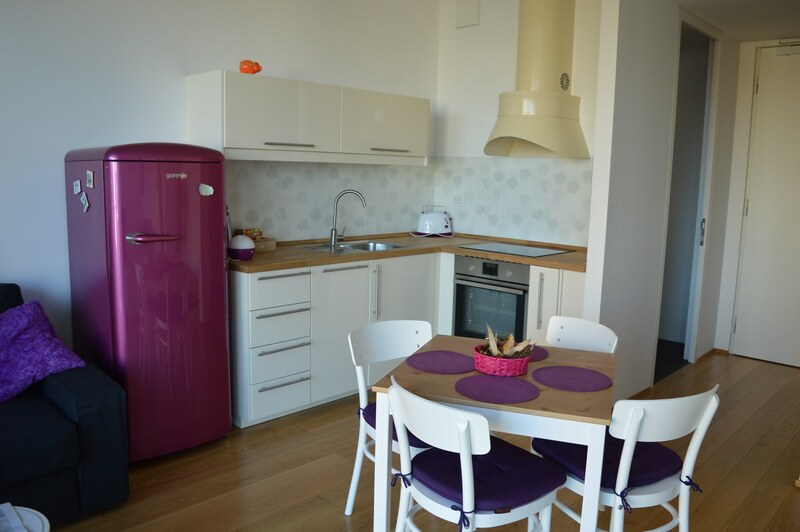 Bright, cheerful and very functional apartment is perfect for your stay in Ljubljana regardless of the purpouse of your visit (holiday or business trip). 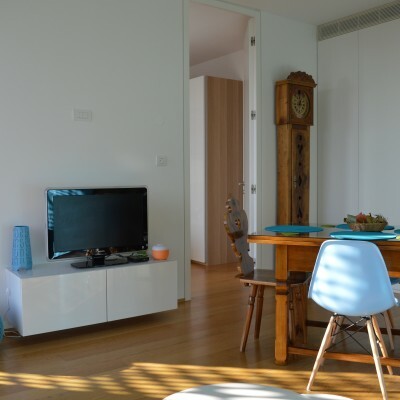 Bright, spacious, nicely furnished apartment for up to 8 people. 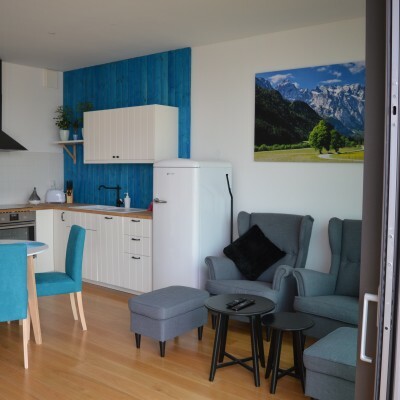 Tilia Stay offers three 45m2 apartments with separate bedroom, which can accomodate for up to four person (depends on the apartment) and one 107m2 apartment with two separate bedrooms. 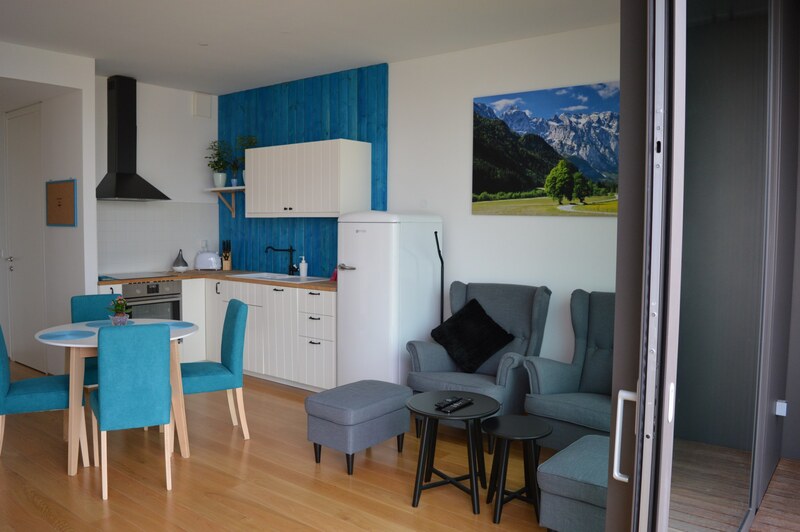 Flats are brand new and fully furnished and are situated in the centre of Ljubljana, close to main bus and train station. To reach the historical city centre you need 10-15 minutes on foot, but on the other hand the Ljubljana motorway ring is also close, so you can quickly escape city’s hustle and bustle and have a break in the Slovenian countryside, which offers magnificent views, peace, and tranquillity. 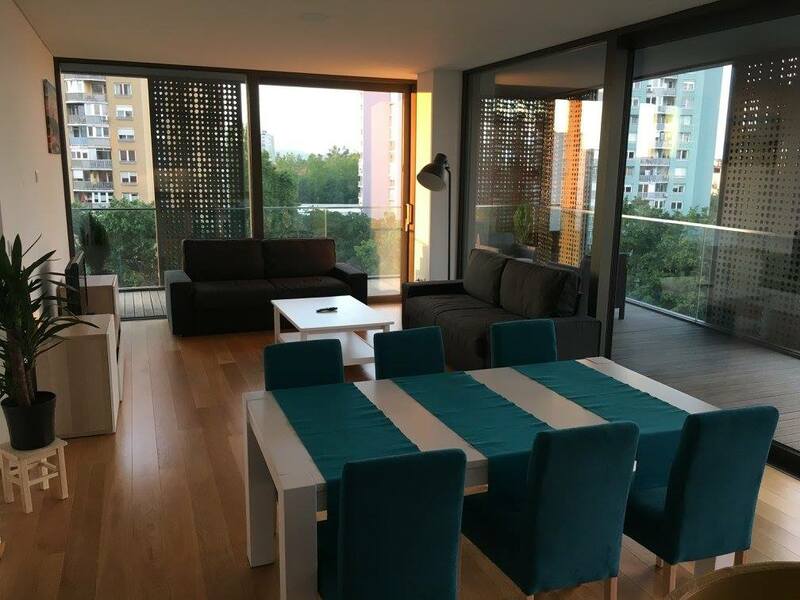 Apartment is beautiful, has a great view, it’s in a nice part of city close to the center. Very clean. Hosts are more than nice. Everything was perfect. Incredibly new apartment with amazing staff! The staff was extremely friendly! They are 4-5 guys managing the apartments and they are very helpful! The apartment was amazing! Really beautiful and well furnished! Everything was new and you have a lot of space, then you can live there for several days with no problems at all! There is a free guarded parking spot! The guys permitted us to let the car in the garage even after the check out when we were visiting Ljubljana. The position is not the best in town, but in 15-20 minutes walking you can reach the center without any problem, so nothing impossible. The apartment itself is perfect, couldn’t be more comfortable. Magnificent view over the city and the castle, huge balcony with a coffee table and chairs. Everything can be controlled with a tablet (heating, lights, etc.) 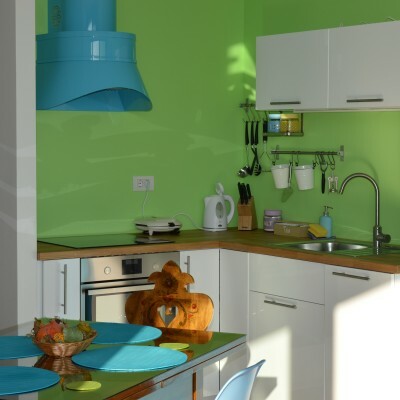 Kitchen and bathroom is fully equipped, private parking in the garage under the apartment. Felt safe and felt home, our hosts prepared us a nice christmas tree and small presents waited for us, couldn’t have been a warmer welcome. 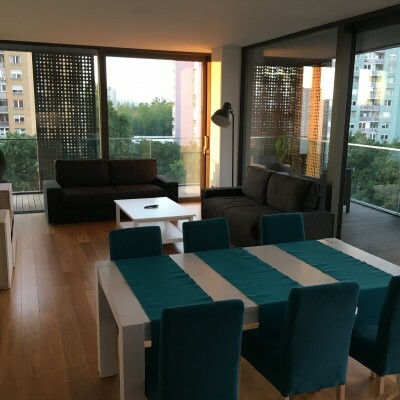 🙂 We will definitely return to this little luxury home, when we come to Ljubljana again. The most beautifully designed apartment that I’ve ever seen! It really is amazing, these pictures can’t tell you how pretty it is. 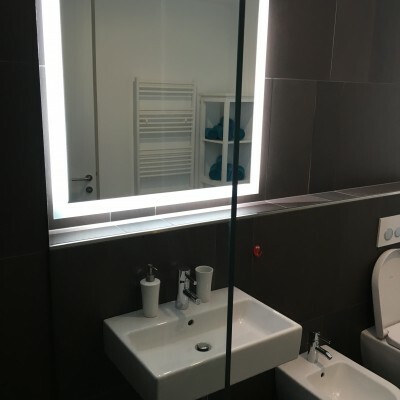 Great location (close to the Ljubljana train/bus station, or you can park your car in the garage), spotlessly clean, modern, smart lighting and AC/heating, very well equipped, cosy… And the view is also great. The guys that rent the place are very kind and offer any help you need (providing info about the city or giving you free maps), and can meet you whenever you want. And the price is very affordable. 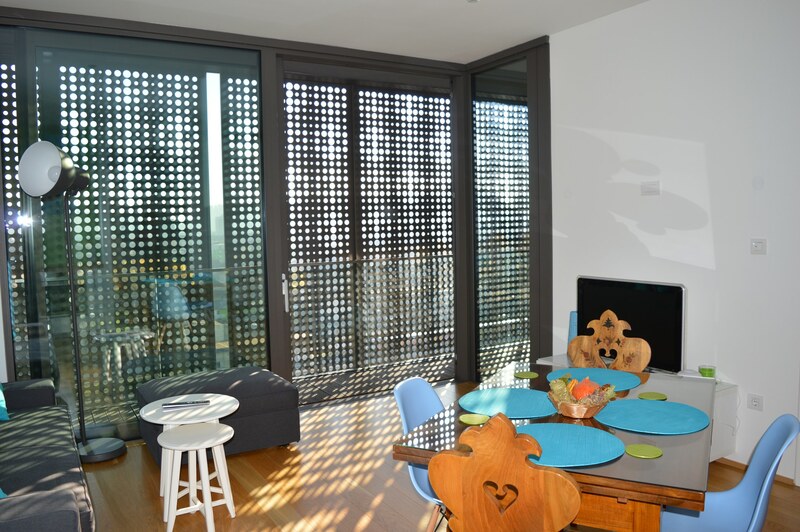 Some people complain that there were no curtains for the apartment – but there are curtains for the bedroom, and outside on the balcony you can move the blinds so nobody can see you. This was the best apartments I ever booked. The apartments are very clean, cozy and modern. It is close to the city centre and to the central railway station. The hosts are very friendly and helpful. I would definitely recommend to stay there! Lovely Ljubljana Apartment.I loved everything about this apartment. It was clean, well maintained and in a central location about 15 minutes walk from the old town. The staff were great to deal with and picked me up at the train station when I arrived. If I had any questions they were quickly answered via email. I could live there! I was in Ljubljana for couple of days with my friends. We rent this apartment and we are very happy with everything. Price was not that high, apartment was really nice and in good location. 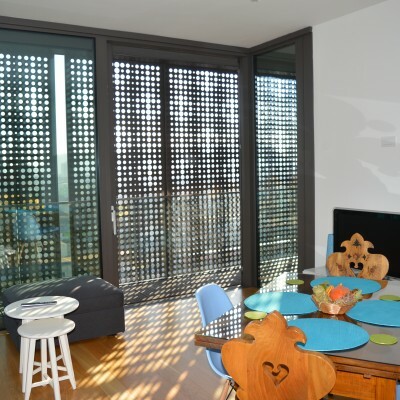 Building is new and the apartment is fully equipped with everything. Matej, the owner, is very friendly and helpful. I can recommend this place to everyone! 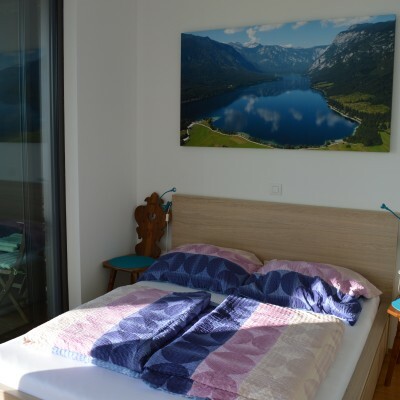 Close to train/bus station from where you can organize trips to Postojna or Bled or go to Ljubljana airport. 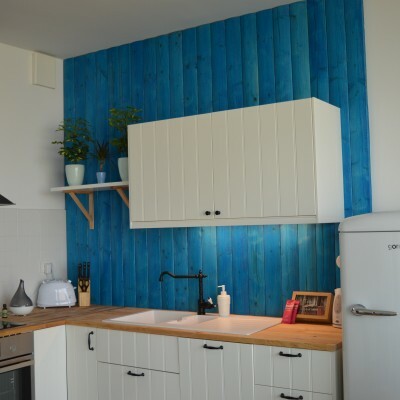 The best place to stay in Ljubljiana! Everything was just perfect. We felt as if at home, even more than that as the landlord made sure we had everything we needed for a great stay in this beautiful city. 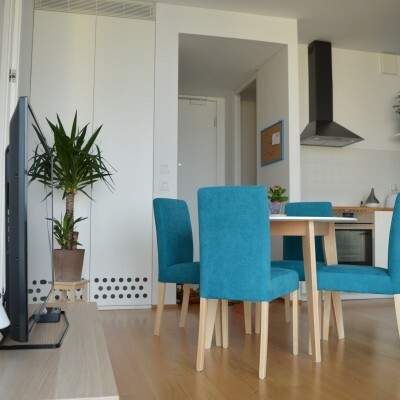 Would definitely recommend it to everyone who wants to rent a comfortable, modern furnished and old town closely located apartment where (s)he can feel at home.